Projects - Peterson Remodeling, Inc.
High rise remodel downtown San Diego. 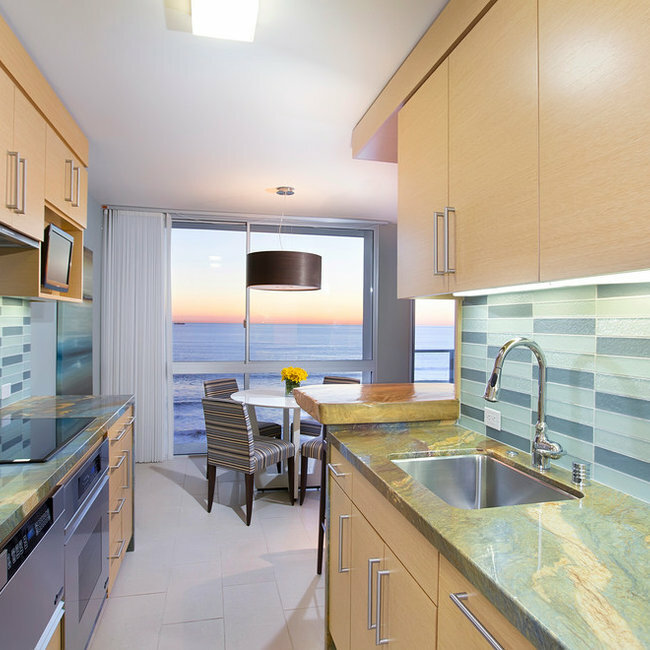 Small one bedroom high rise unit over looking the ocean needed a complete remodel. 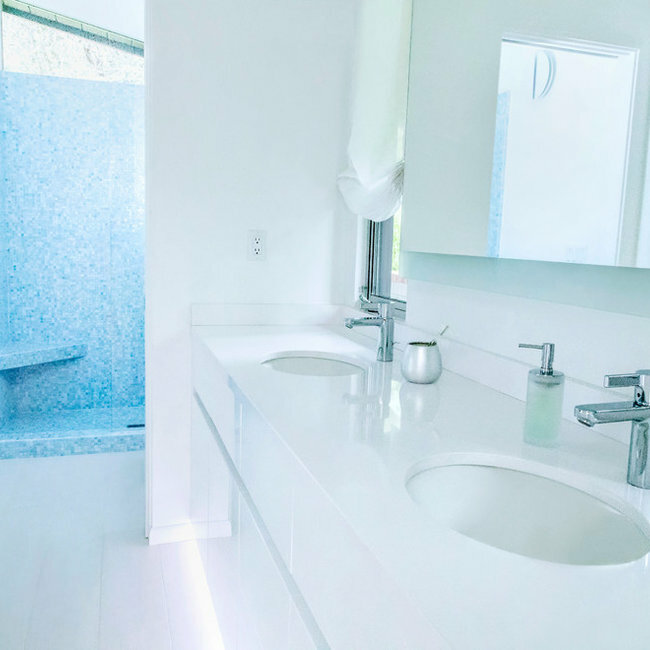 Beautiful custom bathroom created for the kids! 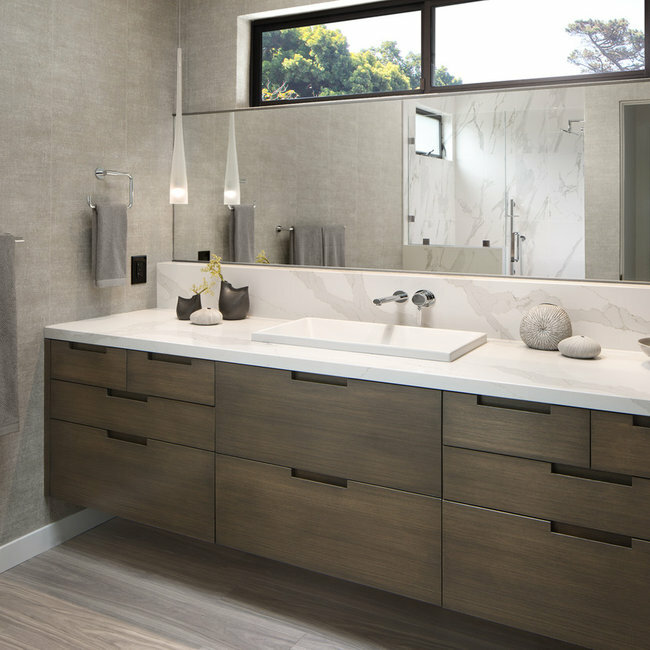 The cabinetry was built and shipped in from Italy, while the shower tile was hand blended to create the look the homeowners were looking for. When the home was purchased the entry/living room area was one long room with way to many canned lights on the ceiling. 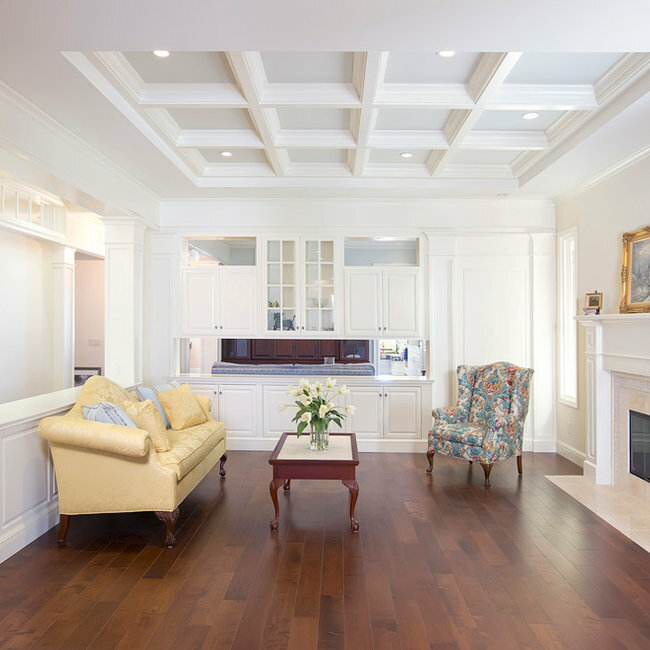 We used built in cabinetry to break up the rooms and added various moldings and coffered ceilings giving the rooms lots of traditional character. 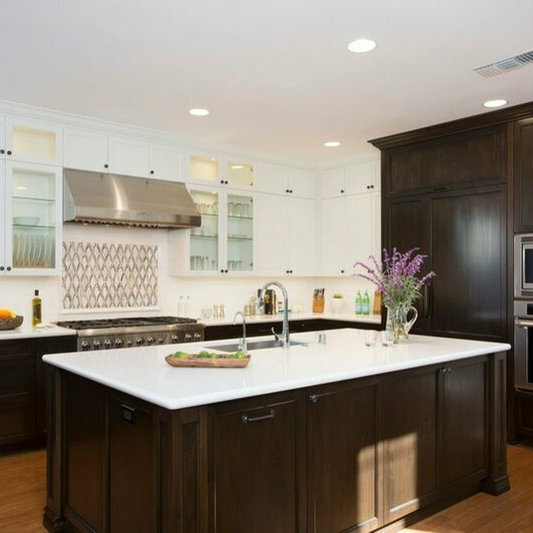 The owners of this beautiful new kitchen did not ask for too much, aside from wanting a large 48” chef style range as well as a 48” refrigerator. 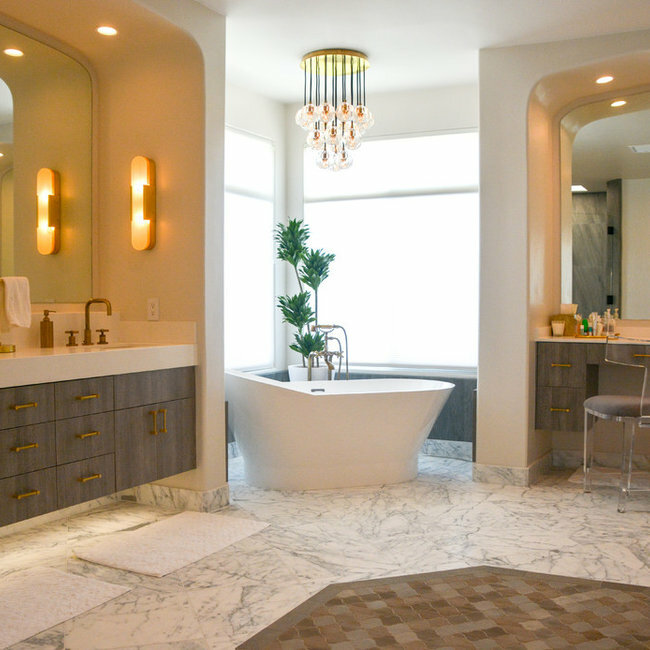 They did say that they liked contrast, which is why the designer, Christie May with Rockwell Interiors, went with the two tone cabinetry and the glass uppers. She felt that these details broke up much of the monotony that was present in the existing kitchen. We decided to rotate the direction of the island, allowing for a larger island, larger sink and a better prep/cook layout with the sink and cooktop parallel from each other. We broke up the backsplash and put an emphasis on the large chef style range by adding a unique glass mosaic tile framed above. 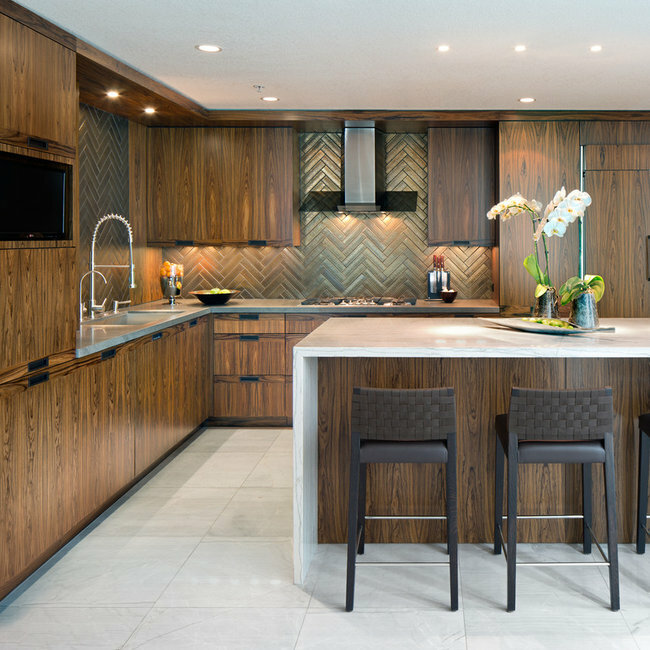 The new kitchen was also outfitted with some new features such as spice pullouts flanking the range, custom wood paneled appliances, pull-out trash and recycle bins, furniture-like legs on the island, and a custom pantry with roll-out drawer storage and adjustable shelving. 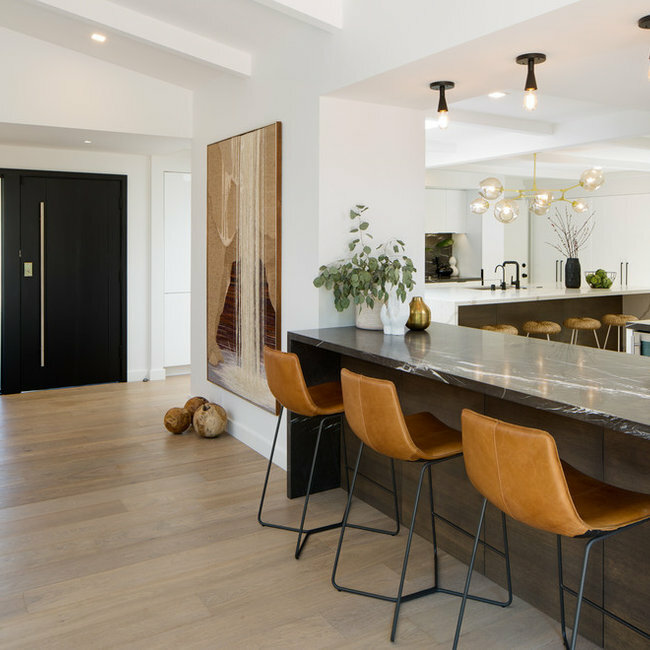 This home was originally designed with a very contemporary feel not at all what the homeowners were looking for. It had a very round staircase with bull nose corners throughout the house. We gutted the stair case removed all the corners and squared everything off. 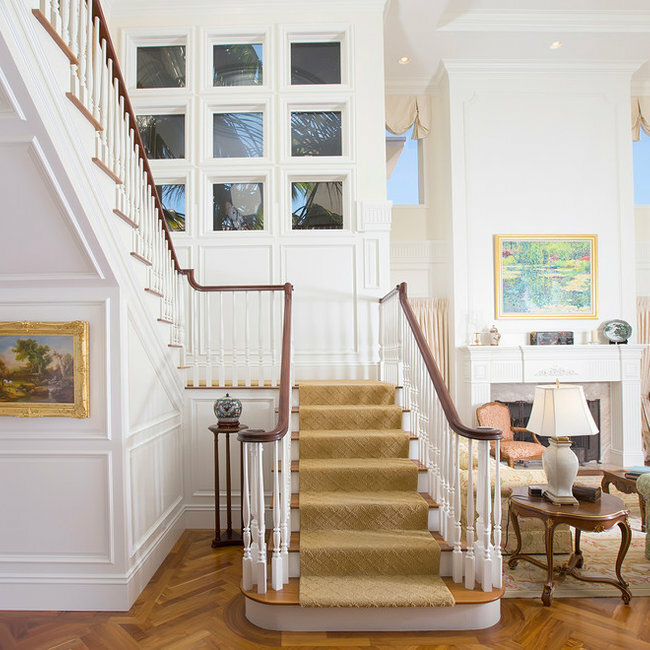 Changing the staircase and the rest of the house to a more traditional feel. Our customer wanted an area were he could lay back and relax. 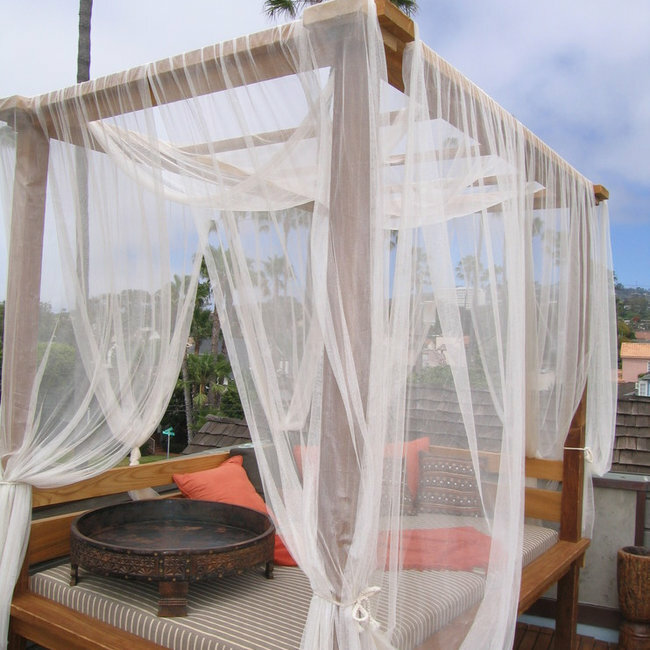 Robert Wright with McCormick & Wright came up with the design but we made it a reality creating a custom reclining teak bed were he could comfortably take in the stars and listen to the ocean. This homeowner was looking for a large open kitchen. She loved to cook and throw parties for friends and family often, she needed a kitchen that could handle the amount of food she prepared and the amount of people that she entertained. 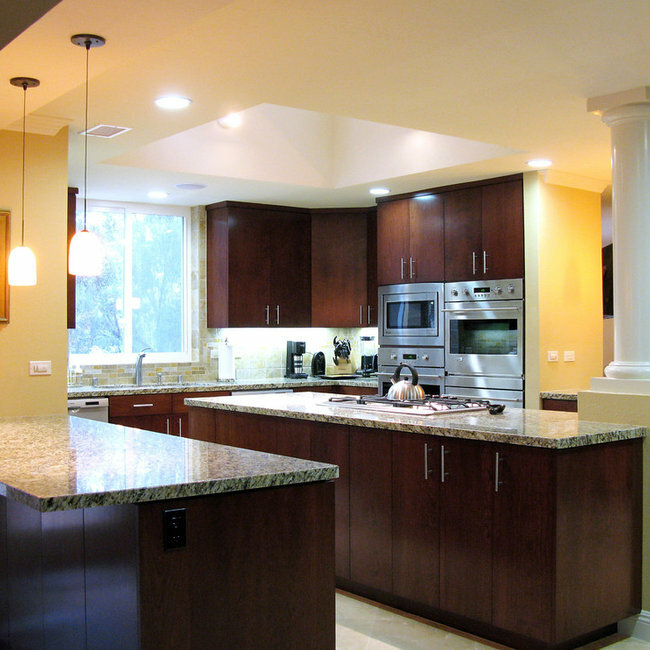 We opened the kitchen up adding two peninsulas on each side with a large island in the middle. To keep up with the cooking and cleaning she requested two dishwashers and three ovens.